Collins Booksellers - A Developmental Model of Borderline Personality Disorder by Patricia Hoffman Judd & Thomas H. McGlashan, 9781585627417. Buy this book online. Patients with borderline personality disorder (BPD) are among the most challenging patients for clinicians to treat. Their behaviors and emotions can shift abruptly. As a result, these patients can seem like therapeutic moving targets, and improvement can be vexingly slow. 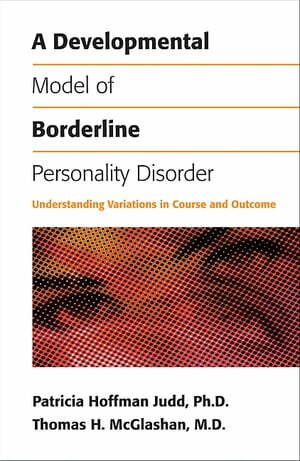 A Developmental Model of Borderline Personality Disorder combines rich clinical case descriptions with an integrated theoretical model that captures the complexities of BPD. The first resource to chart BPD over the long term in such depth, this book is a first-rate clinical resource that reads like a novel, illuminating the disorder to help interpret its causes and course. It will inspire and encourage clinicians, along with patients and their family members, to strive for success in treating this difficult disease.